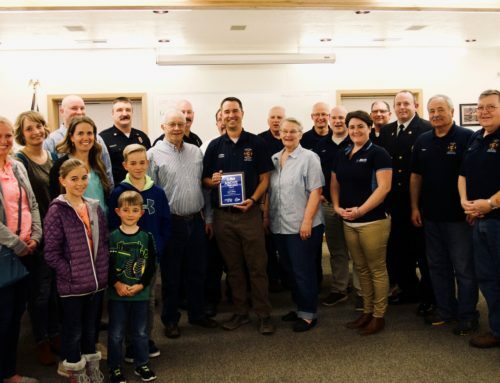 This month, we’re recognizing Jake Liday with the Pocatello Fire Department. On Wednesday January 10, 2018 off-duty Firefighter/EMT Jake Liday was attending a girl’s high school basketball game that his daughter was playing in. During the game, the referee Brian C. Underwood was running down court, when he collapsed and went unconscious and not breathing. Jake didn’t hesitate and went over to Underwood immediately. After doing a quick assessment he observed that Mr. Underwood was unconscious and not breathing, so Jake immediately started high quality CPR. He continued to perform high quality CPR while other individuals applied an AED. The AED delivered a shock to Mr. Underwood. After the first shock, Jake immediately resumed high quality CPR and continued to do so till the ambulance and fire engine arrived and took over. His direct actions helped to save the life of Mr. Underwood. 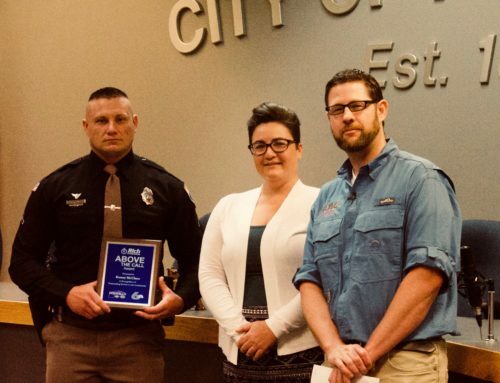 Jake Liday’s actions reflect his willingness and commitment to provide-life saving care and assistance to the public in their time of need. Jake’s actions reflect the highest ideals of a firefighter. “Jake has always been a stellar employee. 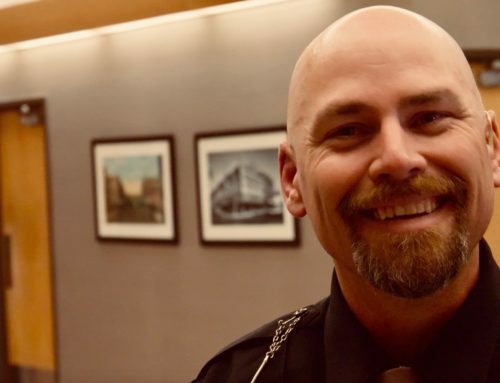 He just recently was promoted to captain for a lot of the things he’s done for our apartment.” – David Gates, Chief Pocatello Fire Dept. “It was the right thing to do in that situation. Here at the workplace I’m surrounded by people who I think would have done the same thing. I’m also very thankful for the outcome, that Mr. Underwood has made a full recovery. A lot of times we don’t get to see the outcome of our patients or people we may help. 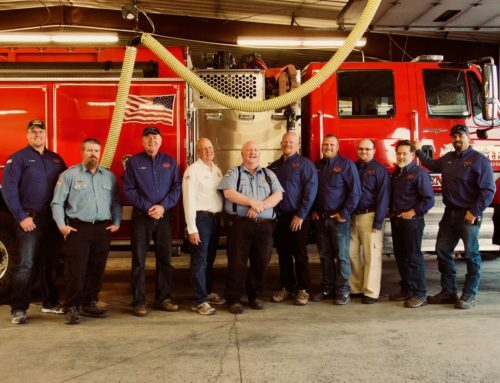 So that’s been pretty neat to see, that he’s made a full recovery.” – Jake Liday, Captain Pocatello Fire Dept. 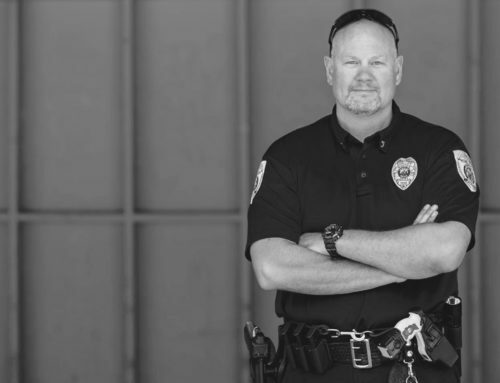 If you would like to nominate a first responder for the Above The Call Award, click here.